Do I have a case? I am asked this countless times…at church, over cocktails, in the gym…anywhere where someone who knows I am a trial lawyer who represents injured individuals finds me and grabs me to ask. Do I have a case? Four little words, but so very complex. In the world of personal injury law practice, I am a generalist. I take all variety of personal injury cases. The only limitation for me is whether I think I can prove the case and whether the damages justify my representation. So “Do I have a case” depends on many things, but first is can we prove one? 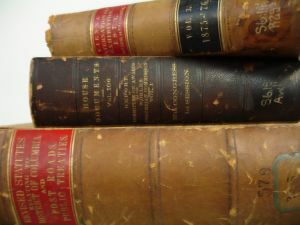 The plaintiff in a personal injury lawsuit has the burden of proof, meaning the plaintiff must prove the case and the defendant really has no burden. The plaintiff must prove, by a preponderance of the evidence, four things: 1)duty; and 2) breach of duty; and 3) causation and 4) damages. “Preponderance of the evidence” is a cute little phrase that means nothing more than it is more likely than not. “Preponderance” is used in law school and should never be used again anywhere else, but especially not in a courtroom to a jury. The burden of proof simply means that a jury agrees it is more likely than not that this thing happened. And the plaintiff must prove all four necessary elements; three out of four is not good enough. Sometimes determining whether someone owed you a duty not to injure you is simple. Like in a car wreck case in which you have been rear-ended. Every driver on our Georgia roads owes every other driver on our roads a duty not to follow too closely and not to rear-end the car in front of them. So if you have been rear-ended in a car wreck, you can easily prove #1 and #2, duty and breach. In our car wreck case example, it is #3 and #4 that get a little harder. Damages means you have an injury to which you attribute to the car wreck. Damages are simple enough usually…if you suffered a broken leg in a car wreck, a leg which was perfectly fine before the car wreck, you have both damages and causation, meaning you can prove the broken leg was caused by the wreck and not from something else, not from some other force. If however, you believe you have injured your back or neck in a rear-end car wreck but no broken bones, the task of proving causation, that the force of the car wreck caused the neck or back injury and nothing else, gets a bit harder. Factors involved here on whether you can prove causation include your past medical history and whether you had ever been treated for neck or back problems before the wreck. For example, let’s say you were involved in our rear-end car wreck on the way to the hospital for back surgery for a chronic back problem. It would be pretty difficult to prove the car wreck caused you to have a back injury that now needs surgical treatment. You were already on your way to get that surgical treatment before the wreck ever occurred! See how this works? Those are the tougher cases and they often come down to expert testimony from your treating physicians about what they believe caused your back injury.